The World Youth Under-16 Championship came to a close on Sunday evening in Konya, Turkey with Uzbekistan taking the title prize. The Indian team finished second after scoring back-to-back wins in the final three rounds while China bagged the third spot. The event had attracted forty-six teams from 39 countries that included four Grandmasters and fifteen International Masters. 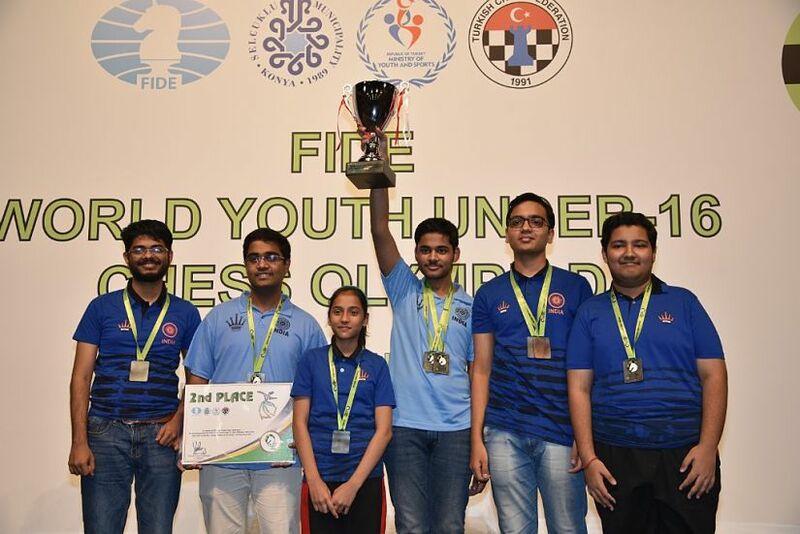 Seeded third, the Indian team comprised of GM Arjun Erigaisi, IM P Iniyan, Sankalp Gupta, Koustav Chatterjee and WIM Divya Deshmukh. 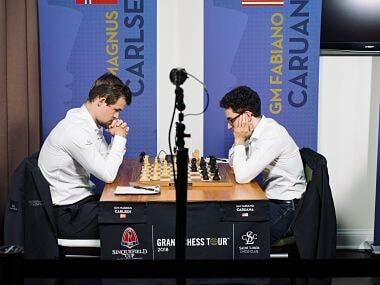 Erigaisi, the only Grandmaster in the team, was clearly the ‘MVP’ of the squad. Scoring an undefeated 7/9 with five wins and four draws, he bagged an individual silver for his performance on board one. Gupta, who played on board three, also took home a bronze medal for his 5/8 performance. Although India were one of the favourites in the tournament, the road to the top wasn’t quite as easy. After revving up with three straight victories in the beginning, the team suffered its first setback by losing to the much lower-ranked Belarusian team in the fourth round. While quick draws were seen on the top three boards (where the Indian players were higher rated), the Belarusian team struck on board four as Deshmukh lost with white against Maksim Tsaruk in a complicated 2.Bg5 Dutch. Two rounds later, the team suffered a second loss at the hands of the top-seeded Uzbekistan. But this time, it wasn’t a close call with three draws and a loss. The Uzbeks won with a commanding 3-1 margin. The only silver lining was Erigaisi’s win over Nodirbek Abdusattorov on the top board. On board two, Iniyan was thoroughly out-prepared by Nodirbek Yakubboev. In a 3.g3 King’s Indian, Iniyan was caught off guard by an opening novelty by the Uzbek International Master and ended up shedding a piece very early in the game. The position, almost immediately liquidated into an endgame after this. Iniyan had two pawns as compensation but after 55 moves of play, Yakubboev managed to prove the superiority of his extra piece. 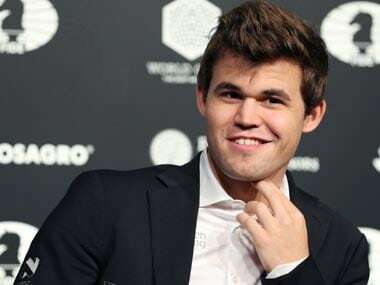 Javokir Sindarov, the 12-year-old Uzbek sensation, stormed Gupta’s King in a Ruy Lopez Steinitz on the third board while Chatterjee lost with black in a French Defence game after making some errors in the endgame on the fourth. Despite their humbling loss in the sixth round, the Indians came back strongly beating some very strong teams in the final three rounds. In round seven, India scored a commanding 3-1 win over the second seeded Russian team and then again in the penultimate round, they won against Azerbaijan, the fourth seeds of the tournament. 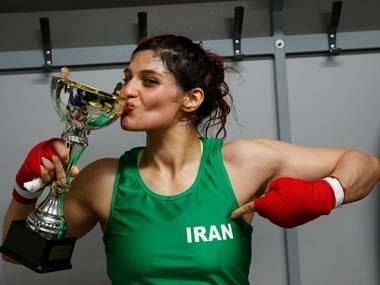 In the final round, India were pitted against Iran. Being the fifth ranked team by rating average, the Iranians were no pushovers. On the top board, Erigaisi was to take on Alireza Firouzja. 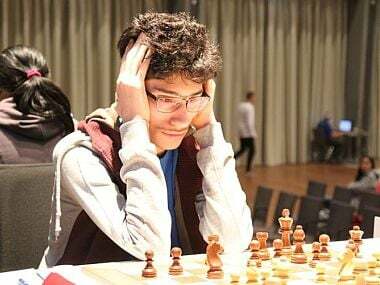 Some months ago, GM Ivan Sokolov had dubbed Firouzja to be the next Viswanathan Anand and the lad was proving the truth in his tutor’s words. By this point in the tournament, Firouzja had scored 7.5 points out of a possible 8 and was in top form. The games on boards two and three also did not produce any decisive results either. Iniyan drew against Amirreza while Gupta held Gholami Orimi Mehdi. India were tied at the third place with Iran after the penultimate round and since Iran had a better tiebreak score, a draw could have meant losing out on a podium finish. On the fourth board, Deshmukh had the white pieces against Mohtare Asadi. As black, Deshmukh had played the Scheveningen Sicilian and had reached a better position out of the opening. In the middle game, the Indian fourth boarder sacrificed a couple of pawns to get an attack going on the kingside. While this looked dangerous, the computers gave her opponent an edge after this. Deshmukh went on with her attack, nevertheless, and managed to induce mistakes from her opponent. On her 34th turn, Asadi made a grave error that gave Deshmukh a mating attack and by the 40th move, Deshmukh had brought home the bacon.